Getting selected to cover MWC came shortly after the end of my 21st year attending CES this January. Only a few companies had anything mentioning 5G at CES, and the majority of the mobile phone makers introduced larger-screen 4G LTE smartphones. I had heard that MWC is where companies from around the world would be showing off live 5G. One of the companies that always has a huge presence there is Huawei. Disclosure: Huawei covered my travel to MWC as a KOL - Key Opinion Leader. I have not been compensated for this post or coverage during MWC. All thoughts and opinions are mine. 5G, as I would come to find out during MWC, is the next and most important wireless evolution yet. Connectivity for all of the applications and for the future of carriers around the world rests with 5G and the digital transformation that will advance entire industries. Carriers in some of the larger and more developed countries are coming under pressure from the US to carefully choose hardware for 5G. While these countries are considering their options for upgrading cell towers, backhaul (fiber optic switching equipment and microwave), and IoT (Internet of Things), they realize that there are only a handful of suppliers to choose from that can handle what 5G will require. There are multiple forms of 5G and carriers are hesitating to upgrade to the first and most obvious form called NSA or Non-Standalone. Some of the suppliers are rolling out NSA 5G hardware to carriers now. However, this will come at a significant cost if that hardware cannot easily be upgraded to SA or the standalone 5G specification. While covering Mobile World Congress 2019 in Barcelona, https://t.co/jEzIU4pWm8 I interviewed @GlenGilmore, a fellow KOL. We talked about #technology, #Huawei & what he found most interesting at this year’s @GSMA global event. Those are reasons where national carriers in developed countries argue that they should be able to freely choose what suppliers they can purchase 5G hardware from. It is not only about cost and security, but also about the choice to provide the best technology to their customers. Security professionals in the wireless industry say that they can mitigate privacy risks to consumers from any of the suppliers chosen. Huawei is one of the most advanced cellular hardware manufacturers. From what I saw at their MWC booths, they had multiple, 5G is billed as the underlying connective mesh and is on track to digitally transform industries like safe cities, manufacturing, automotive and robotics. I learned that Huawei’s current 5G wireless cellular equipment supports both standards that I mentioned above. A firmware update in the future will enable the SA specification on the same hardware. This one software change could save carriers that select the hardware millions in duplicated hardware installs, human labor and losses from downtime. Scenarios with robots and lightning fast connectivity will come together in ways that will have looked like magic today. 5G will untether many consumer applications such as truly wireless VR, AR augmented reality, and MR mixed reality. Mediatek’s got more than smartphone ???? chips. They now have 3D Artificial Intelligence, with pose tracking that can automatically control ???? robots. Capturing fluid human movements will make robots of the future even more impressive and lifelike. Touring eight halls of MWC, I found small to super large multi-national technology and wireless companies showcasing everything from USB hardware keys with RFID for 2FA two-factor authentication like Yubico to software for Android smartphones to sketch with the help of augmented reality. Smartphones, like Huawei’s Mate 20 Pro, now have the hardware and software to run a live augmented reality application for drawing. I found it odd at first, but that idea quickly changed after I understood how it worked. Sketching images on paper with the help of the SketchAR app was easy. Drawing with advanced technology is something that I could spend hours doing. It is an easy way to explore how AR will affect games of the future. 5G and folding smartphones were trending topics during and after MWC 2019. I attended the unveiling of Huawei’s Mate X 5G enabled foldable smartphone. Carriers might be slow to roll out some 5G equipment and cell towers because the first standard NSA, will only be compatible with the first series of smartphones released from manufacturers. Huawei however, discussed during the Mate X event, that their Balong 5000 5G wireless chip supports both NSA and SA standards. The Mate X foldable smartphone is certainly an eye-catcher. Its hinge hardware took three years to engineer. They wanted their folding smartphone to not have a gap when closed and to have a large 4,500 mAh battery too. To facilitate the best mobile experience, they are including 8GB of RAM, 512GB of storage and a 55W Huawei SuperCharge with the Balong 5000 dual 5G chip. Several laptops were introduced during the Mate X unveiling. The one that interested me the most was the MateBook X Pro. Its impressive features include an Intel Core i7 Gen 8, 13.9” 3,000 x 2000 resolution 3:2 touch screen, up to 1TB of NVMe PCIe SSD, NVIDIA GeForece MX250 2GB GDDR5 and a 57.4Wh battery that is rated to last up to 12 hours when playing a 1080p video. A demo showcasing the OneHop File Sharing feature will help so much. Many people start projects or continue projects on their smartphones. With a single tap on an RFID chip on the MateBook X Pro’s palm rest, a fast wireless connection is made to a Huawei Android smartphone, and files like PowerPoint presentations are instantly transferred. Part of the OneHop File Sharing feature, is an instant clipboard copy function. Copy a paragraph from a document on the smartphone and with a tap that same data showed up in the clipboard of the MateBook X Pro. Rachel ???? the robot is beyond what I was expecting to see at MWC 2019. This XR1 robot from CloudMinds processes everything it does in the cloud ??. Each joint has an IP address & is its own 5G ???? mesh network. AI is handled on servers around the ???? world. Video ???? is 2x speed. MWC had multiple companies like CloudMinds showing off 5G connected robots that process everything in the cloud. Rachel shows what is currently possible with processing camera vision and then commanding its joints to do tasks like pickup a water bottle and set it down on a table beside it. This is significant because the robot no longer has to have a compute backpack to do the processing. It can offload the “heavy lifting” to the cloud, while the robotic hardware is free to move. HTC Vive Pro ???? Virtual Reality Headset with the Wireless Adapter provides a near-zero latency ???? VR experience. With the power of 5G ??? ?, VR will be transformed from being tethered to a ???? PC, to an experience that can go ???? anywhere. South Korea Telecom showed off a few of what 5G will do for connected factories and virtual reality. While their HTC Vive Pro with Wireless Attachment was wirelessly connected to a PC, it was the closest I have seen to a truly tether-free VR experience. Several robotic arms were operating on a simulated widget factory. They were scanning and sorting them. 5G connected industrial applications will allow for companies to check in on production live and see what is happening before waiting for hourly reports. I could get into a virtual reality ???? streaming game ??? ?, with a ???? workout ???? component, especially one that streams over 5G ???? to a friend anywhere there’s a connection. As seen at MWC 2019. Having fun with VR and 5G was the focus of a section of China Mobile’s MWC booth and Huawei’s too. Several people were using stationary bicycles and competing against each other. While this is not interesting by itself, both were wearing virtual reality headsets and the demo was setup to show how people will be able to stream VR level video in real-time to each other. Huawei’s consumer technology MWC booth showed off their VR 2 headset with IMAX and NOLO VR live tracking. The NOLO VR and CV1 tracking kit are used to help play 6DoF depth of field SteamVR games. It is nice to see companies like IMAX upgrade the VR gaming experience for players. Connected and autonomous vehicles will utilize fast 5G connections to process GPS signals, LiDar assisted obstacle avoidance, live traffic data, and other applications that will be developed. I have personally seen how LiDar assisted vehicles can produce 3D point maps of the city they are in and then share them to other connected cars. This is only possible with connectivity like 5G. 5G Connected ???? McLaren supercar ???? with a Blu Wireless unit and Sivers IMA’s RFIC technology, as seen at MWC 2019. Connectivity is only as good as the carriers that provide it. Upgrading, maintaining and securing this transformative wireless infrastructure will cost billions. Protecting this investment will become priority number one for the carriers. Huawei provided me and the other small group of KOLs from around the world unprecedented access to several advanced showcases. While these were not photo opportunities, guides in each section for artificial intelligence, cloud management solutions, cell tower error correction and enterprise hardware freely answered all of our questions. We were shown software backed by AI and machine learning that will help carriers in the future to fix cell towers during and after storms. In one demo, we saw how a storm might affect cell coverage in a city. The software can then alert the carrier to fix certain cell towers first. Fixing key cell towers first can repair the entire network faster, according to AI. Another demo showcased how AI will help cell site installers to make sure their work is verified ready to be deployed before leaving the jobsite. The process before was to take photos of the work, check in with a supervisor on the following day and then go back to the jobsite to fix any issues. The mobile software that Huawei utilizes for the installation of their cell sites will certainly reduce errors and get hardware online quicker. Carriers and operators will also be able to choose from fiber optic switching hardware that replaces up to 90% of current cabled fiber hardware, fiber optic networking that is 2x to 5x faster, and faster microwave hardware that can handle 5G cell sites in locations that cannot get fiber backhaul connections. Foldable Huawei Mate X 5G ??? ?, Samsung Fold, & TCL Foldable Screen as seen at Mobile World Congress MWC 2019. During my booth tours at MWC, there were some 5G smartphones to try out. While there were 5G signals at MWC and around Barcelona, it did not seem that the hardware I was using had been optimized to utilize 5G at full speed. This will definitely change by the end of 2019. The AirSelfie 2 ???? drone at dinner ??? ?, it was a fun birthday! Companies like Huawei are currently deploying augmented reality applications on mobile devices, supported with artificial intelligence and machine learning. Cell site installers and people that want to explore augmented reality apps can choose to do that with Huawei technology. Carriers that use Huawei’s cell site dashboard backed with AI will be able to deploy repair crews to more quickly fix service interruptions. Magic aside, 5G technologies in mobile devices will connect all of us at unprecedented speeds and in ways that we only imagine. Doctors have already performed remote surgeries in near real-time with 5G, at a distance of 50km. It will truly bridge the gap between what industries and consumers want to do and be able to accomplish. 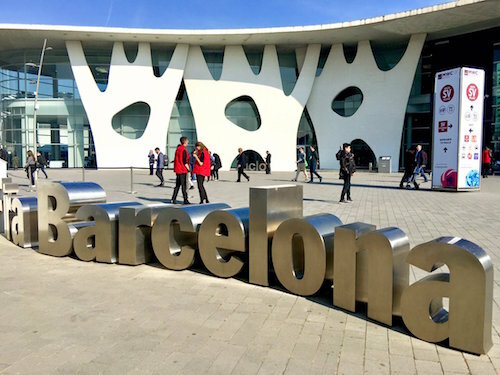 Going to my first MWC convention was key to witness a historic moment in the evolution of wireless technology, and those that will be supplying the hardware to bring it to life.